No matter where you are or which holidays you celebrate tis the season to spread goodwill, joy and share great recipes with friends and family around the globe! Potatoes are the fourth largest food crop in the world and grown in just about every country. 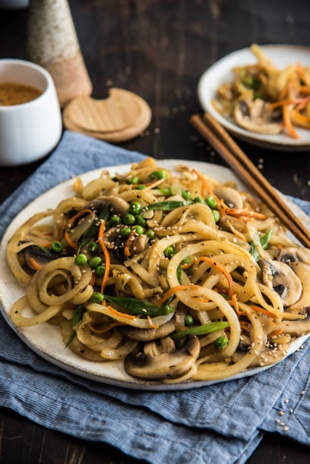 However we know that Idaho potatoes are pretty special and their versatility allows them to be the main ingredient is just about every cuisine imaginable. 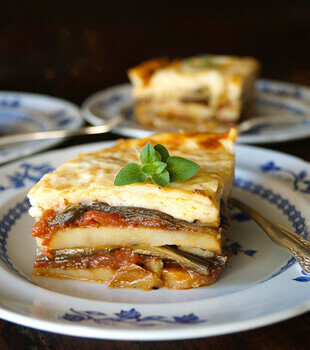 For instance, Idaho grown Yukon Golds are perfect for a vegetarian version of Potato Moussaka. In his cookbook, Smashed, Mashed, Boiled and Baked, Chef Raghavan Iyer layers potato planks, seasoned tomatoes and eggplant slices, and tops it all off with a béchamel sauce made with riced potatoes. 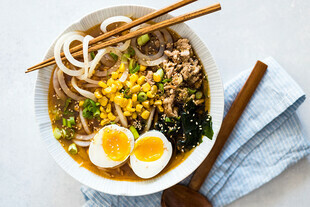 This recipe is unique, delicious and easy to make! 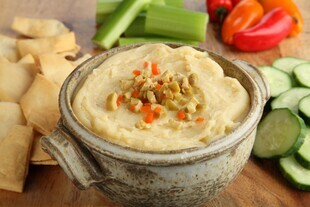 Or if you’re looking for ways to jazz up your mashed potatoes why not try a Mashed Potato Bar? 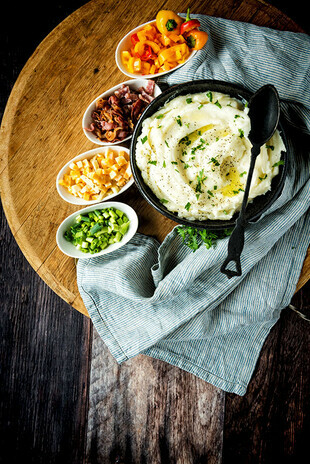 Whip up your favorite traditional mashed potato recipe and offer your guests a variety of toppings like sautéed turkey sausage with cranberries and sage; caramelized jewel-colored peppers, hearts of palm or hearty basil pesto. The pairings are endless!